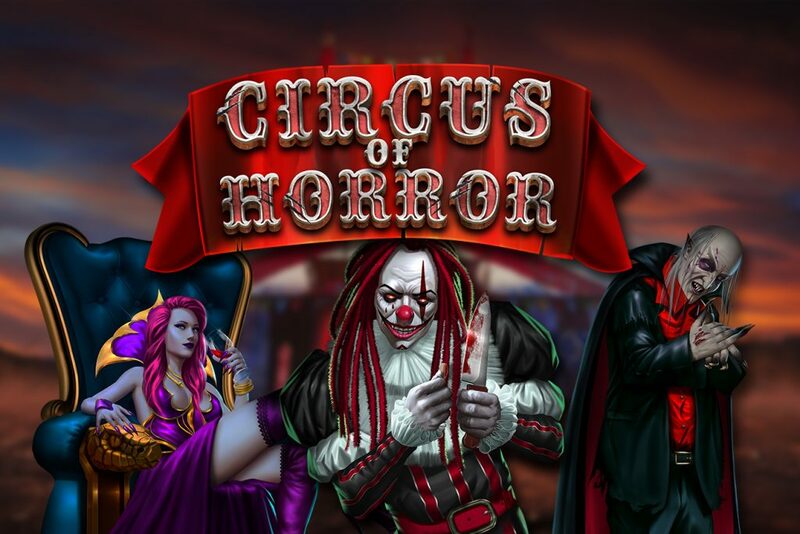 Dare to enter the Circus of Horror, brand-new from GameArt? The very first slot to feature our immersive new player interface, take your seat in the blood-soaked big top of terror and bear witness to a macabre spectacle of surprises in this high volatility, 243-payline, 5-reel freakishly featured-packed extravaganza. With ghoulishly good graphics featuring all manner of monstrosities from your darkest nightmares, this is no game for those with weak constitutions. Come face-to-face with vampires, mummies, necro nurses, chainsaw wielding masochists and even the two-horned beast himself! Prepare yourself for a shock, in the literal sense, as 3 or more ‘Nosferatu’ Bonus symbols trigger the Electric Chair bonus game! Choose which body part of the unfortunate soul strapped in the chair of death you want to fry with a thousand volts, and if you get 8 without fail you'll double your total win! See 3 'Devora' the snake lady Scatters on the reels and get 8 Free Spins, land 4 and get 12, or fill the reels with 5 and you'll be blessed with 15 – and all Free Spins have a x3 multiplier effect! Remember, keep your wits about you because this big top is a dangerous place to be! In the base game, razor sharp knives are randomly thrown at 'Grimo the Clown' Wild symbols, which substitute for every symbol except Scatters and Bonuses, to stick them in position. And, finally, any win can be gambled for the chance to double it - just choose the red or black card – up to 5 times. The circus is coming to town... are you ready?